Alaska’s Hotel Captain Cook is Anchorage’s only true luxury hotel. Located in what is now the bustling hub of America’s gateway to the Pacific Rim, the Hotel Captain Cook caters to the international traveler , dignitary, business and leisure traveler with the service and meticulous attention to detail for which the hotel is justly famous. 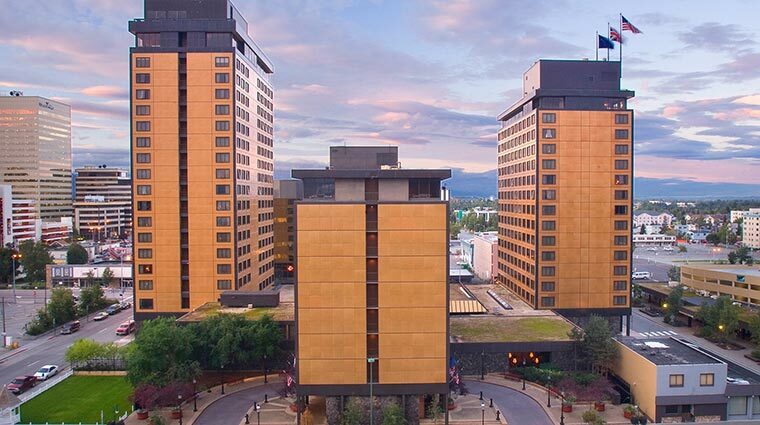 The Hotel Captain Cook is Alaska’s only member of Preferred Hotels & Resorts Worldwide, an organization of 620 of the finest independently owned and managed luxury hotels and resorts across the globe. The organization maintains membership requirements, ensuring that its properties are among the very best for getaways, vacations, meetings, banquets and business trips. Captain James Cook helped define Alaska in the 18th century by mapping its jagged coastline for the first time. Since 1965, the Hotel Captain Cook has defined luxury in Alaska by offering a level of elegance and comfort unparalleled across the state. The legendary sea captain and the hotel that bears his name share two great qualities: a love of nature and an indomitable, Alaskan spirit.